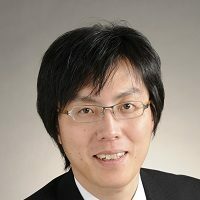 Our research project focuses on the asymmetric electron-transfer system based on the controlled coordination structures. 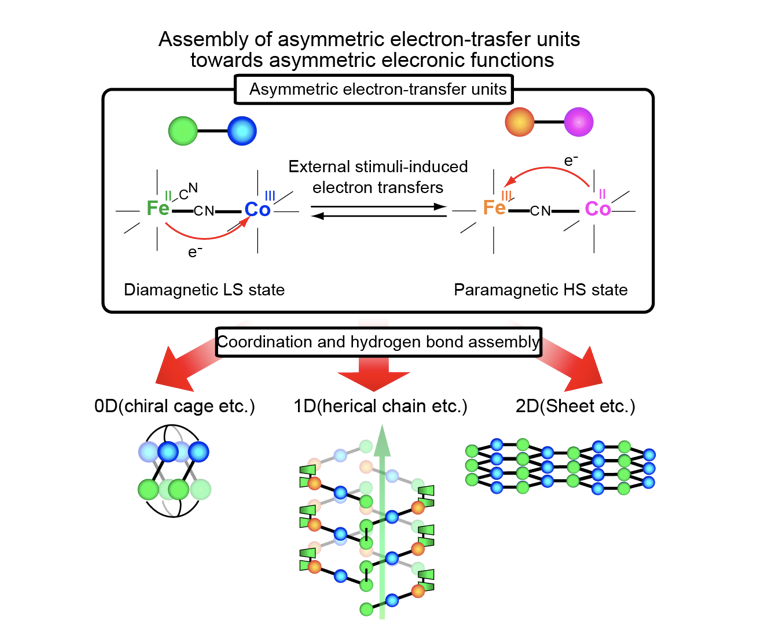 We construct electronically asymmetric units exhibiting controlled molecular symmetry based on the directional electron transfer-induced electronic rearrangements. Furthermore, anisotropic assembly of the units into low dimensional aggregates will be investigated towards novel anisotropic electronic functions based on the controlled electric- and magnetic dipole moments within the assemblies. Specifically, we investigate the following subjects. 1) Development of electronically asymmetric units exhibiting controlled molecular symmetry induced by external stimuli, 2) Creation of dimensionally controlled assemblies of electronically asymmetric units using hydrogen- and coordination bonds, 3) Exploration of novel anisotropic electronic functions based on directional electron transfers within the assemblies.